The GRE is divided into three sections: quantitative reasoning, verbal reasoning, and analytical writing. Quant covers most of the major math subjects with the exception of calculus or trigonometry. Just about anything else is fair game: arithmetic, algebra, geometry, etc. (GRE math breakdown). Verbal reasoning will focus strongly on your vocabulary and on your overall reading comprehension. Most questions will depend on your ability to comprehend high quality writing about college level subject matter. While you will not need to know any specific topics beforehand, you will need the ability to discern meaning from a variety passages presented during the exam. Verbal and quant feature a good variety of questions types: sentence completion, reading comprehension, comparison, multiple choice etc. Here’s a useful GRE infographic. The GRE also features an analytical writing section comprised of two essay prompts. The GRE exam lasts just under four hours. In comparison, the MAT is relatively short, taking just an hour. The GRE also costs $195 which is about twice the cost of taking the MAT. In terms of cost, GRE study materials also tend to be slightly more expensive, but you get more to choose from and higher quality. MAT materials are cheaper on average, but there are less high quality options for study support. You also pay a premium for MAT official practice tests. Miller Analogies Test vs GRE: Which should you take? The MAT is excellent for students who are verbally focused, have a wealth of general knowledge, enjoy puzzles and prefer learning broadly. Additionally, students who dread math or writing will get to largely avoid them. There is also the benefit of a short exam for students who fatigue quickly. The GRE is a great choice for students who have a broader range of skills, who may want to demonstrate their superior math or writing ability, and who prefer studying a smaller range of topics but with greater depth. Further, if you have always performed better on typical test questions than on the type of puzzles or brain teasers associated with IQ tests, the GRE might be a better choice. Both exams offer pros and cons; consider the above carefully. 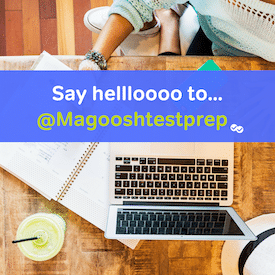 For more information on the exams, you can visit our GRE and MAT blogs as well as the test maker websites: ETS & Pearson.